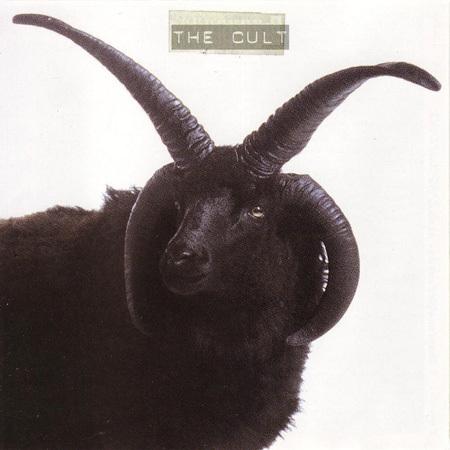 The Cult — британская рок-группа, возникшая в своём исходном составе в Брадфорде в 1981 г. В течение многих лет группа меняла составы, самые постоянные участники — вокалист Иан Эстбери и гитарист Билли Даффи, оба писали песни для группы. В начале своего существования группа выступила в роли одного из основоположников развивавшейся в Англии сцены постпанка. Стиль их музыки ассоциировался в прессе с готик-роком, находясь под влиянием мистицизма, ассоциировавшегося с американскими индейцами и группами психоделического рока, такими как The Doors. После переезда в Лондон и выпуска своего второго альбома «Love», «The Cult» завоевал более широкую аудиторию, оказавшись на 4-м месте в чартах Великобритании и выпустив несколько популярных синглов, таких как «She Sells Sanctuary» и «Rain». При этом группа отошла от своего изначального звучания, сблизившись с хард-роком. Выпустив альбом «Electric» и сингл «Love Removal Machine», они попали на американский рынок; альбом «Sonic Temple» также достиг большого коммерческого успеха. В октябре 2007 г. группа выпустила альбом «Born into This» на лейбле «Roadrunner Records». Перед этим группа приняла участие в нескольких фестивалях и дала несколько интервью, а также провела совместный тур с «The Who» в Европе летом 2007 г. и собиралась провести ещё один в США. В мае 2008 г. по сообщениям газеты «The Gauntlet», «The Cult» расторгли контракт с «Roadrunner Records» после записи всего одного альбома. В 2012 году, после 4-летнего перерыва, группа выпустила альбом Choice of Weapon на лейбле Cooking Vinyl. В июле 2012 года во время гастролей по Европе на мосту по дороге из хорватского города Сплит в столицу Словении Любляну гастрольный автобус The Cult попал в аварию. В результате инцидента травмы шеи, спины и плеча получил вокалист Ян Эстбери. 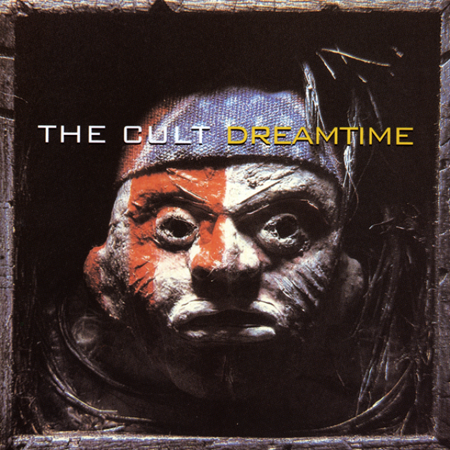 Dreamtime is the debut album by The Cult. Released on 10 September 1984, it reached #21 in the UK and was later certified silver by the BPI after having sold 60,000 copies. The first single, "Spiritwalker", reached #1 on the UK Indie Chart. Dreamtime has subsequently been reissued (or in some cases bootlegged) in roughly 30 countries worldwide. Lyrics to the song "Horse Nation" are taken almost verbatim from the book Bury My Heart at Wounded Knee. "Spiritwalker" is a reference to shamanism, while "Dreamtime" is inspired by the Australian Aborigines and 'Butterflies' is a reference to the Hopi ceremonial butterfly dance. "A Flower in the Desert" is a reworking of the Southern Death Cult's song "Flowers in the Forest". Mich Ebeling – backing vocals on "Gimmick"
Последний раз редактировалось dali300; 13.10.2018 в 14:00. 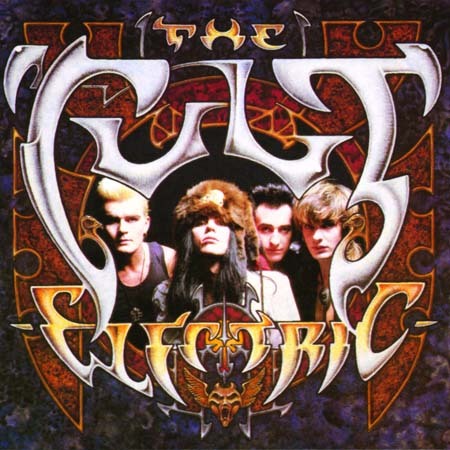 Electric is the third album by British rock band The Cult, released in 1987. It was the follow-up to their commercial breakthrough Love. The album equalled its predecessor's chart placing by peaking at number four in the UK but exceeded its chart residency, spending a total of 27 weeks on the chart (the most successful run for an album by The Cult). The album marked a deliberate stylistic change in the band's sound from gothic rock to more traditional hard rock. Rick Rubin, the producer on Electric, had been specifically hired to remake the band's sound in an effort to capitalize on the popularity of hard rock and heavy metal in the 1980s. In 2013 the album was re-released as a double CD set under the title Electric Peace, with one disc featuring the originally released album and the second containing the entire Peace album recorded during the Manor Sessions. Последний раз редактировалось dali300; 13.10.2018 в 13:59. Sonic Temple marked the first time the band worked with Bob Rock, who would later produce The Cult, Beyond Good and Evil, Choice of Weapon and Hidden City. The album reached the Cult's highest chart position in the US, peaking at #10 on the Billboard 200 charts, and was certified Platinum by the RIAA in 1993. In Argentina, the record was released as Templo Sonico with the titles translated into Spanish on the jacket sleeve and record labels. The album cover features guitarist Billy Duffy with his Gibson Les Paul, partially obscuring a picture of vocalist Ian Astbury. The back cover features bassist Jamie Stewart, and an additional illustration on the insert, from left to right, features Astbury, Duffy, and Stewart. 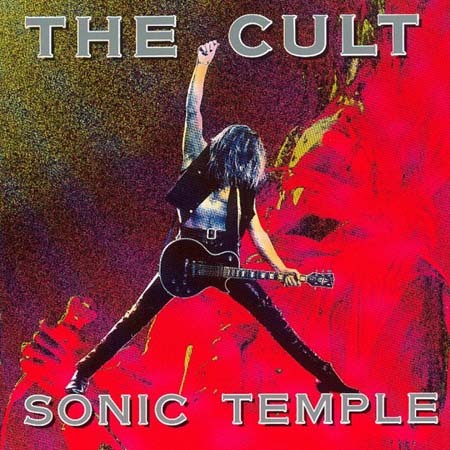 Sonic Temple is the fourth studio album by The Cult, released in 1989. Continuing in the hard rock direction introduced on their previous album, Sonic Temple features some of the band's most popular songs, including "Fire Woman", "Sun King", "Edie (Ciao Baby)" and "Sweet Soul Sister". Sonic Temple was the last album recorded with longtime bassist Jamie Stewart, who left in 1990, and the first to feature former Hall & Oates and then-current Bryan Adams drummer, Mickey Curry. Последний раз редактировалось dali300; 13.10.2018 в 13:58. Ceremony represented a period of great turmoil within the band. Longtime bassist Jamie Stewart had departed prior to recording, and the working relationship between vocalist Ian Astbury and guitarist Billy Duffy was at an all-time low. The pair reportedly rarely agreed to appear at the studio together, opting to record their parts separately at different times. The album was highly anticipated by both music critics and fans as a result of the band's previous worldwide successes with their 1987 album Electric and its 1989 follow up Sonic Temple. It was heavily inspired by Native American culture. The band was sued for $61,000,000 by the parents of the American Indian boy pictured on the album cover. The album reached #25 in the U.S. and reached #9 in Canada, and achieved platinum status, but sales suffered with the arrival of grunge rock and time spent dealing with the lawsuit. 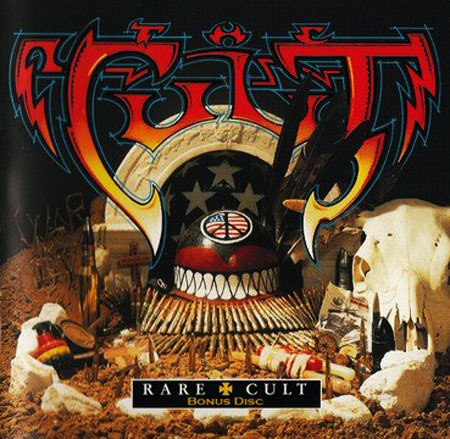 Pure Cult is the first of several greatest hits compilations by the British rock band The Cult, released in 1993. 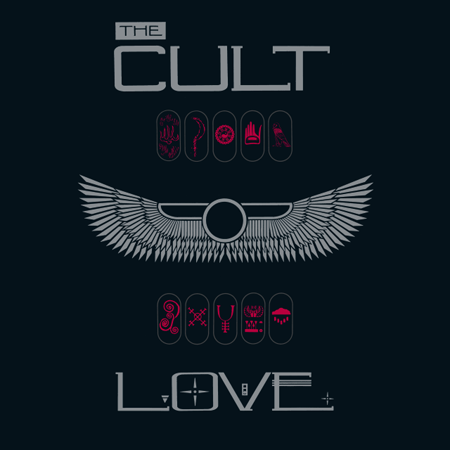 The title of the original release was Pure Cult: for Rockers, Ravers, Lovers, and Sinners while the 2000 reissue was titled Pure Cult: The Singles 1984–1995. Released on 1 February 1993. Singer Ian Astbury and guitarist Billy Duffy admitted that they did not have high hopes for this record's release, thinking it would be of interest only to collectors and die hard fans. However, the first week of release it was number one on the British charts and went double platinum , selling over 200,000 copies, which led to it being issued later in several other countries in Europe (where it reportedly reached number one also in Portugal) and Asia. Последний раз редактировалось dali300; 13.10.2018 в 13:57. The style of music on the album is more reminiscent of the grunge and alternative rock music popular at the time, and of noise rock, with its use of distortion and feedback. Последний раз редактировалось dali300; 13.10.2018 в 13:56. The Best of Rare Cult is a single-disc compilation of selected songs from the Rare Cult box set, including five tracks not featured in the box set. The cover artwork by American artist Rick Griffin (of Grateful Dead fame) is adapted from Griffin's original cover for the abandoned 1987 single release for "Soldier Blue." The CD was released on 21 October 2000, before the box set. Последний раз редактировалось dali300; 13.10.2018 в 13:55. The title of the record is a reference to Friedrich Nietzsche's 1886 book of the same title, and it briefly had the mock working title of Bring Me the Head of Dave Grohl, referencing the frontman of Foo Fighters, and also the former drummer of Nirvana. In 2006, singer Ian Astbury claimed via the band's website that his preferred choice for the record's title was Demon Process. 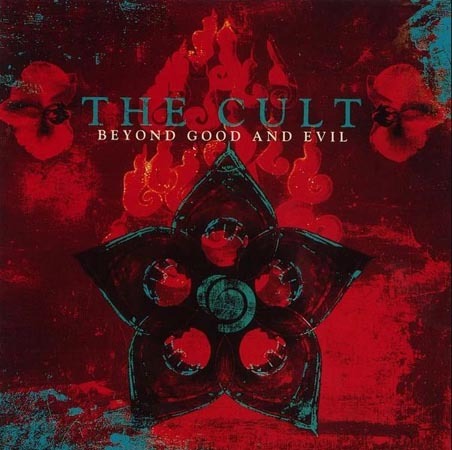 Beyond Good and Evil is the seventh studio album by English rock band The Cult. Released in 2001, it marked their first new recording in six and a half years. 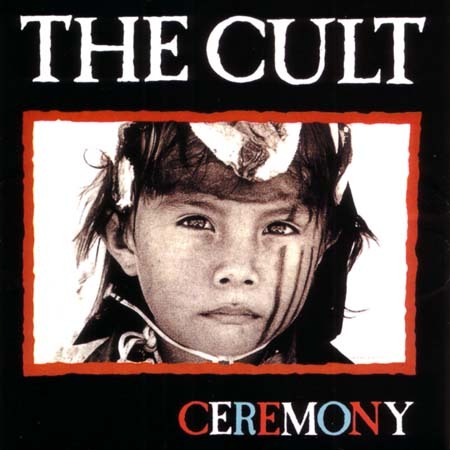 This album also marked the return of Matt Sorum (Guns N' Roses) as The Cult's drummer. Although Sorum had previously toured with the band on the Sonic Temple tour in 1989 and 1990, this was the first time that he had recorded a studio album with the band. Последний раз редактировалось dali300; 13.10.2018 в 14:02. 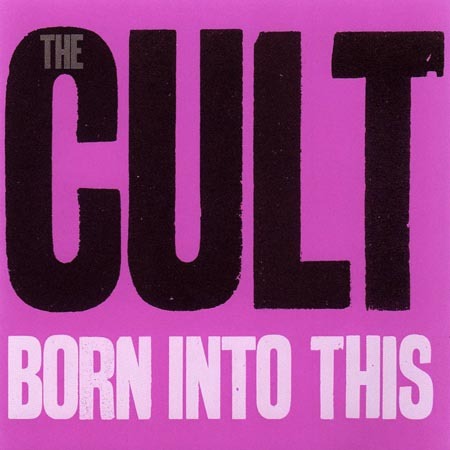 Born into This is The Cult's eighth studio album, and was released on October 2, 2007 in the US and Canada, also South Africa and Sweden. It was released in Hungary, Denmark, Spain and France on October 1, and in Finland on the 3rd. It is the follow-up to 2001's Beyond Good and Evil, the band's first reunion album, and also its first (and only) release on Roadrunner Records. It was recorded at Britannia Row Studios in London, with additional recording in Los Angeles and Buenos Aires.